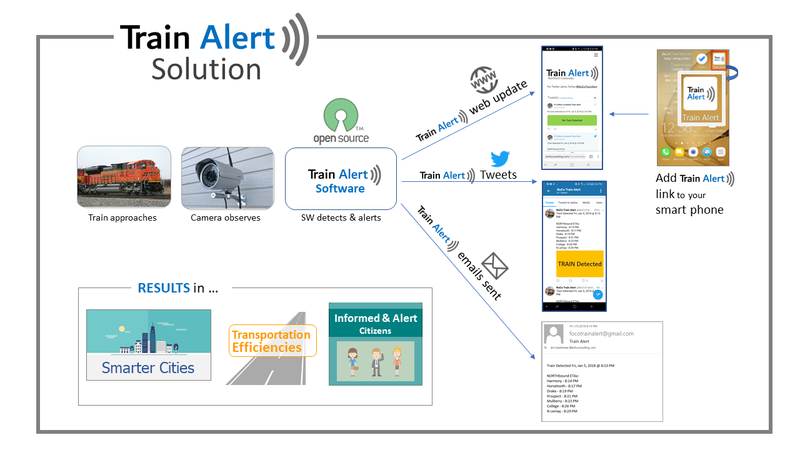 Train Alert is a hardware/software/communication solution that provides advanced warning to your community when a train is approaching town. The alerts can be used by cities and residents to reduce commuter and pedestrian disruptions caused by trains. Users can modifiy routes and/or notifiy others if delays are expected as a result of getting this information. Train Alert is operational in Northern Colorado. Learn more about this implementation. Community members and/or municipalities. The more people and organizations who receive the alerts, the greater positive impact. Alerts must be received to provide value. Members of your community will need to know how to access alerts and/or you need your local traffic department to use them to modify traffic patterns. Inexpensive cameras focused on railroad tracks provide data which is analyzed to detect trains. ​Alerts are distributed to users via a single-page web app, Twitter and email (based on their preferences). Viewers access the alerts (via smart phone, tablet or PC) when they care about train traffic and ignore them the rest of the time. All components required to install, integrate, test, announce and maintain a Train Alert solution can be aquired for free or at very low costs. Instructions for creating a solution are provided below. ​Consulting and implementation services are available for communities who want to outsource all or part of the effort required to establish the solution and/or network of users. Adjust settings as needed for: sunrise hour, sunset hour, seconds requierd to check for long trains, # of frames required to ID train, etc. Observe passing trains and adjust settings as needed. Conduct end-to-end tests to be sure passing trains generate timely alerts via the web, Twitter and email. -- Announce the availability of Train Alert in your area. -- Search Twitter for expressions of frustration related to train delays in your area. 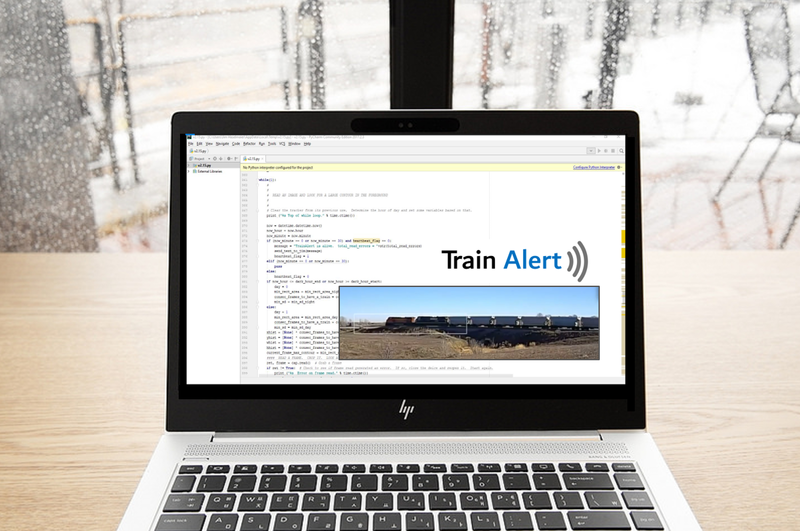 Respond to these comments with the news that Train Alert is now available. DISCLAIMER: Train Alert is provided for informational purposes only and may not be 100% reliable. Train Alerts should not be used as the basis for critical decisions. People and organizations involved in providing Train Alert data are not responsible for actions taken as a result of the information provided.